To situate Kenjo wan Jumbam within the Cameroonian literary pantheon, one would have to go back to the literary history of Anglophone Cameroon. While Chinua Achebe launched contemporary Nigerian literature in London in 1958, Sankie Maimo, Achebe’s fellow schoolmate, launched Anglophone Cameroon literature in Nigeria in 1959. Taking advantage of the publishing structures and a shared colonial history, Maimo published I Am Vindicated, a drama, with Ibadan University Press. I Am Vindicated dramatises a conflict between modernity and tradition represented by Bola, a schoolboy and Baba Kasim the village fetish priest. However, modernity is made to triumph when Bola reveals the priest as a charlatan and the priest commits suicide. In 1969, ten years later, Lagos African University Press (which later became Pilgrim Publishers) published the first novel by an Anglophone Cameroonian woman titled Promise. It was authored by Jedida Asheri, the pen name of the late Prudencia He-ne Chila (I got this fact from the baobab, Kenjo Jumbam). Set in Banso, Promise is a classic female bildungsroman that compares favourably with celebrated novels of this genre anywhere. In addition, Oxford University Press published Nsanda Eba’s The Good Foot in 1977, seven years after it was written. However, to earn money and fame as a writer one had to publish with multinationals like Heinemann, Fontana and Macmillan. Some aspiring Anglophone writers sent their writings abroad, but the chances of publication were very slim. The distance of the foreign publisher was not only cultural, it was physical. To sustain the budding African Writers Series, Heinemann shopped for African writers who were based in Paris and had produced well-written works in French. There was already a vibrant African community in Paris in the sixties, which had developed from the negritude tradition and was creating a dynamic black aesthetic. The works translated included Oyono’s Une Vie de Boy (Houseboy), and Mongo Beti’s Mission Terminé (Mission to Kala), which have erroneously been considered by some readers as written by English-speaking Cameroonians. 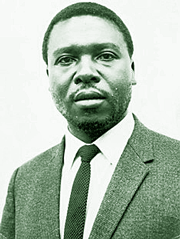 Heinemann also published Mbella Sone Dipoko’s A Few Nights and Days in 1964 and Because of Women in 1968. Although a Francophone Cameroonian by geographic origin, Mbella Sone Dipoko studied in English and wrote his novels originally in English. Consequently, it has become customary for bibliographers to classify him as an Anglophone Cameroon writer instead of a Francophone Cameroon writer, who writes in English. Technically, therefore, Kenjo wan Jumbam is the first Anglophone Cameroon writer to publish with Heinemann’s African Writers Series. Jumbam was a postgraduate student at the University of Leeds when he sent his first manuscript, a love story, to Heinemann. It was rejected but Jumbam continued writing. He had been writing for five years when Heinemann accepted Jumbam’s Lukong and the Leopard with The White Man of Cattle for young readers in 1975. Stephen Arnold, a renowned critic, describes this volume as “an unassuming pair of beautifully told tales… intended for secondary school students but a pleasure for all ages”. Then, in 1980, The White Man of God was published in the African Writers Series. The White Man of God records the coming of age of Tansa as he faces the complexities of Christianity, especially the concept of a loving God (father) who can send his children to hell. For several years, The White Man Of God was a required text in secondary schools and was also studied frequently at the University of Yaounde. Above all, it attracted a lot of critical attention amongst literary scholars. Jumbam’s talent as a writer is visible once you pick up any of his works. Again, Steve Arnold in 1978 predicted that, “Jumbam is a writer of international stature and will certainly be widely known before long”. Unfortunately, the reduced activities of Heinemann on the continent and difficulties of publishing in Cameroon left Kenjo Jumbam with many unpublished manuscripts and an aborted rise to international fame.